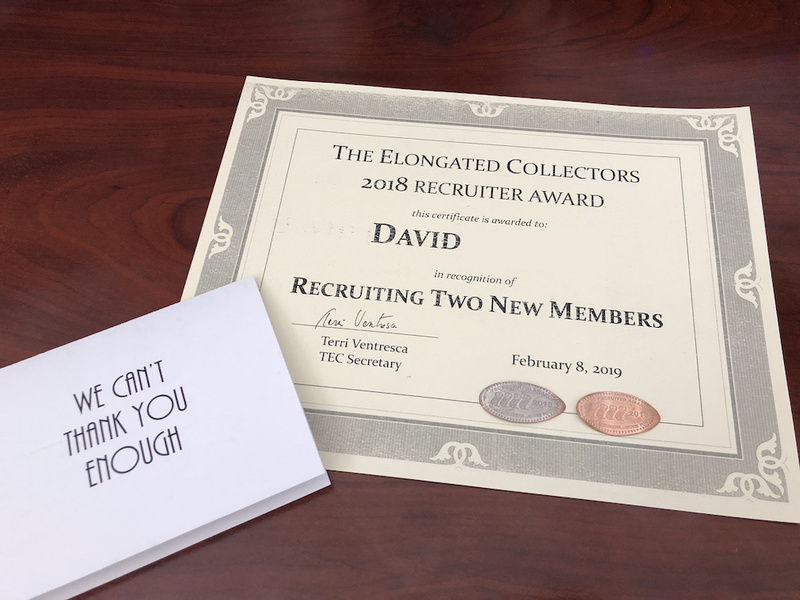 Just recently I receive a nice surprise in the mail from The Elongated Collectors (TEC) club. It was a very nice note with certificate and some great special pressed coins for recruiting some new members to the club. 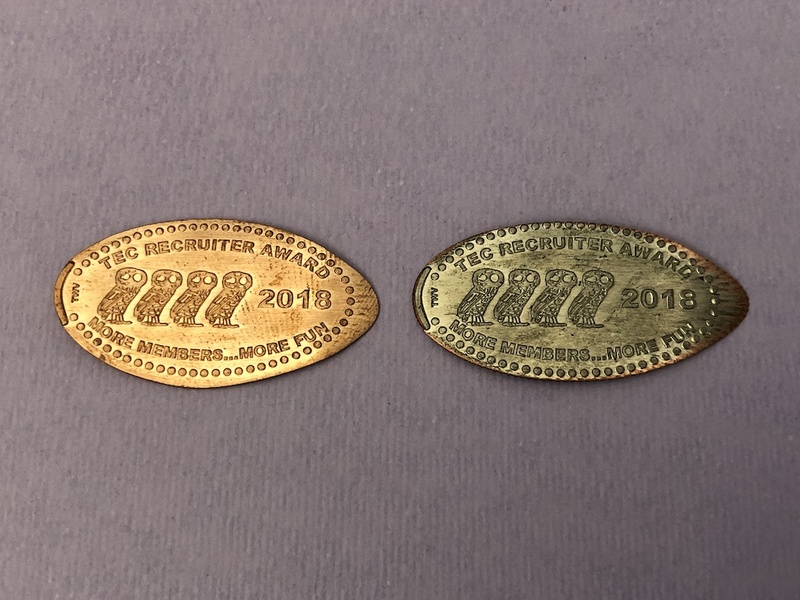 The coins are different each year and can make a fun way to try and help find new members to join. I was very happy to receive these and know that I was able to help some fellow collectors join TEC. The members are great and always willing to share their knowledge and stories about their adventures pressing coins. The newsletter is filled with great articles and you get plenty of unique coins throughout the year. I’ve said this in the past but if you aren’t a member already be sure to join. The membership fee is very reasonable but worth every penny. Then you can start sharing your stories with the rest of the members by writing articles, and try recruiting some new members on your adventures. There are a lot of pressed penny fans out there and I don’t think many of them know about TEC. Thank you for everyone that comes back week after week to read about my collection, and be sure to leave a comment or any questions you may have as I always enjoy responding to everyone. Happy collecting! !